Mother Nature seems to have skipped over fall and sent us right into winter…it is 28 degrees in central Louisiana this morning! I haven’t even had a chance to enjoy the cool, sunny fall days that I love. I will be taking advantage of the warmer temps next week! There’s a new challenge up on the Southern Girls blog and the theme is to use inks or sprays. The sponsors for this challenge are Neat and Tangled and A Day for Daisies . 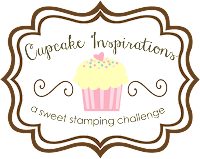 Each company is generously offering gift certificates to our randomly chosen winners, so be sure to link up your inky creations for a chance to win! I created an autumn themed art journal layout for my design team project. I found a quote by Nathaniel Hawthorne that sums up exactly how I feel on beautiful fall days! I used three digital images from A Day for Daisies in my design, A Barrel of Blossoms, Catching Leaves, and Joy. I love the versatility of using digital images in my designs! I created my design in Photoshop Elements, printed on mixed media paper, and used Gansai Tambi watercolors, distress inks and Prismacolor pencils to color the images. I can think of so many fun techniques with inks and sprays, but I chose simplicity for this project. I added some background spatters with an OLD bottle of metallic copper Memories Mist. I haven’t used it in years and it still works! The spray mechanism was clogged, so I just took it off and used it to flick droplets onto the background. I also added some water droplets to lift some of the distress ink from the background for added interest. All of the different mediums worked well together. I even blended the colored pencils with Gamsol and didn’t get any lifting from the watercolors or distress inks. This is definitely a combination I’ll use again! Be sure to visit the Southern Girls blog for more inspiration from the Design Team and link up your “inked and sprayed” creation for a chance to win one of our prizes or be one of the Southern Girls’ top 5! Thank you so much Wendy! Gosh what a nice compliment!